This 3 section dinner plate brought to you by @home features beautiful Princesses and could be the perfect partner to your child’s mid day meal or a sumptuous dinner. It features a beautiful Disney associated artwork on the exterior with the brightest colours and pretty patterns. Multiple divisions assure adequate capacity for a multi course meal, as per your requirement. 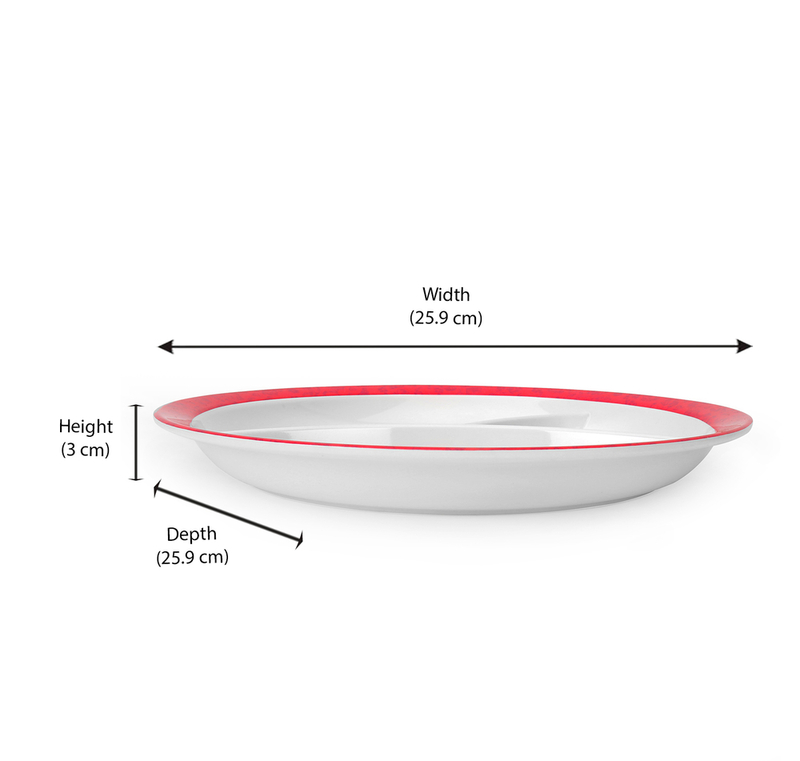 This 3 section dinner plate is dishwasher safe and BPA free, which means that handling and washing the plate will be convenient, and you will not have to worry about health hazards for your child.